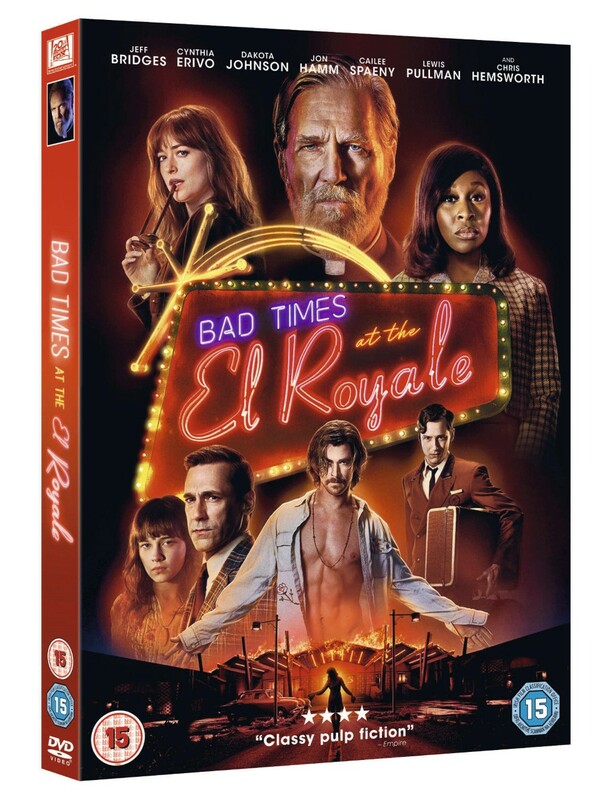 To celebrate the release of Bad Times at the El Royale, we've got a copy on DVD to be won. In 2017, Jon Hamm starred in an Edgar Wright film. What was it called? 1. This competition is only open to UK residents, excluding BOOM's friends and family and anyone else directly associated with this promotion. 2. The prize is a copy of Bad Times at El Royale on DVD. We have one copy in total to give away. 3. The winner will be drawn at random from all the correct entries, and only they will be contacted personally. The prize must be taken as stated and cannot be deferred. There will be no cash alternatives. 4. One entry per person - and yes, we will check. If we find that you have entered multiple times, we will disqualify you from this competition. Repeat offenders will be disqualified from entering future competitions. And we don't like robots, so we investigate multiple entries and entries suspected as being from robots will be deleted. 5. Closing date for entries is midnight on 27/02/2019. 6. Winners will be notified within 7 days by email. If a winner does not respond with their posting details 7 days after we sent them the initial notification email, their prize will be offered to another person following a subsequent further draw. This process will repeat until somebody responds and tells us where to send the prize. If you're entering, please remember to check your emails! Bad times never looked so good with the release of Bad Times at the El Royale. Jeff Bridges, Cynthia Erivo (Bafta Nominee for EE Rising Star Award) Dakota Johnson, Jon Hamm and Chris Hemsworth lead an all-star cast in this powerful thriller filled with gripping suspense and startling revelations. Seven strangers, each with a secret to bury, meet at Lake Tahoe’s El Royale, a rundown hotel with a dark past. Over the course of one fateful night, everyone will have a last shot at redemption…before everything goes to hell. To celebrate, we’re giving away a copy on DVD! This incredibly watchable thriller is now available on Digital Download, 4K Ultra HD™, Blu-ray™ & DVD, come along for this entertaining and unpredictable thrill ride. Be sure to check out the clip below from the extras!